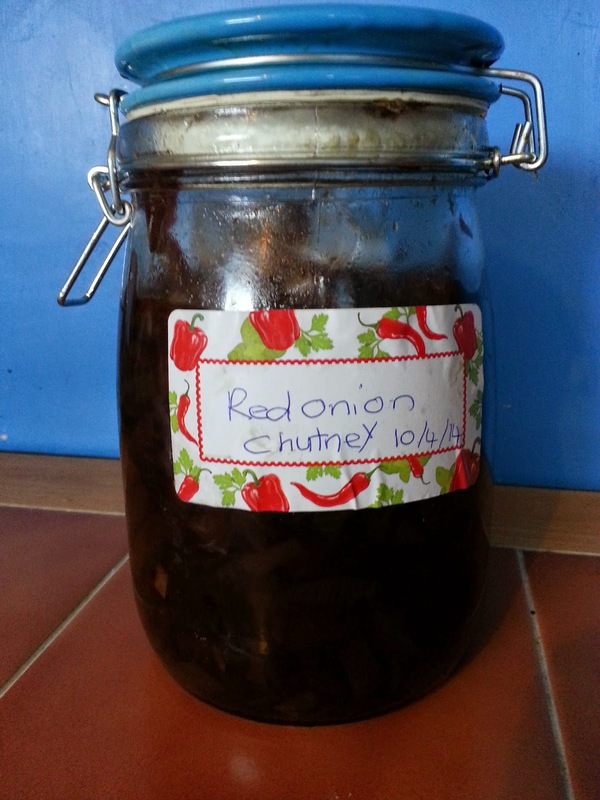 My mum made me a batch of her sweet and sticky caramalised red onion chutney the other day. It was absolute heaven in a jar. I loved spreading it over my sandwiches and covering it over crackers with a big slabs of blue stilton or bree. A jar of this would go beautifully at Christmas time in a homemade food hamper with crackers and assorted cheeses, although a batch of this needs to be prepared for at least a month in advance to allow the flavours to mature. This recipe was taken from the BBC Good Food website and makes around 2 large jars. Ingredients – 8 red onions, 1 red chilli, 2 bay leaves, 25ml olive oil, 200g brown sugar, 150ml balsamic vinegar and 150ml red wine vinegar. leaves and oil. Cook gently over a low heat for about 20 minutes. minutes or so, until the chutney is thick and dark. for a month or more before you eat it, to mature in flavour – don’t worry it’s definitely worth the wait! "Yummy Carrot Cake & Cream Cheese Frosting"
"Wedding | Mollie Makes Book Review"